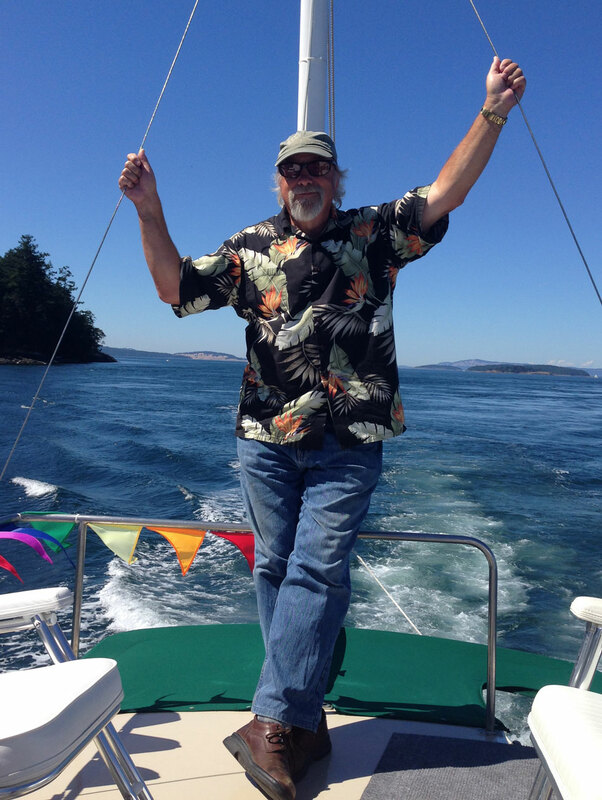 Greg has 40 years on the water and in the islands. He teaches classes for the Whale Museum, the Road Scholar (formerly Elder Hostel) program, and Skagit College. Greg has a BS in Geology from Portland State and an MEd. In Natural Sciences from Western Washington University. He was a full time science teacher at Friday Harbor HS for 29 years along with being a commercial fisherman (Puget Sound gillnet), sailor, and professional mechanic and service writer at Granville Marine. The Bee is a classic Grand Banks trawler yacht. Built in Hong Kong in 1968 by the finest Asian shipwrights for American Marine, she has a mahogany hull and teak decks. 32 feet long and 11.5 feet wide, her single Ford/Lehman diesel pushes her along at 8 knots. The Grand Banks “woodies” were the last wooden production boats made and the finest of the class. What are you waiting for? The Islands are calling and the time is right!